Check out all the best of the week in Issue 110 of the Tech Smart Boss Newsletter. 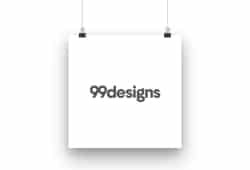 I’ve discussed 99designs on a few of the Tech Smart Boss podcasts as a great place to leverage crowdsourcing for all types of design projects. It’s not just for running contests however, you can also find great graphic design freelancers on their site and enter into one-on-one contracts with them to enhance your marketing assets. In fact, these one-on-one projects are what I find most useful about 99designs. I’ve found a few great designers by browsing portfolios that I have used often, on repeat projects, for various illustrations, mascots, and animated gifs. Check out 99designs as the Tech Smart Boss Cool Tech of the Week and see how you can make your business brand shine a little brighter.